CleanStars and CleanJets are most commonly used for cleaning jobs in machine tools. 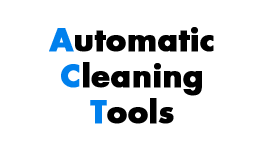 ACTs use the abilities of CNC-machines for an inexpensive cleaning and drying. 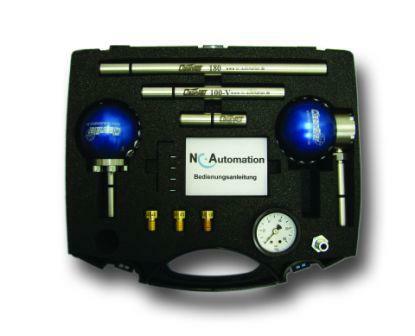 By rotation in machine spindle the effect of cleaning tools increase. The spindle rotation and movements make this tool a flexible and effective aid in chip removal processes. All cleaning tools usually have a 5/8"- or 16 mm-straight shank. The modular construction of the ACTs admits many combinations and allows an easy adaptation to special application cases. The CleanCase contains different kind of CleanJets and CleanStars and usually is sufficient to equip two machine tools. CleanJets work with coolant or pressured air. Cleaning operation needs less time and is safer than by an operator. CleanJets are used primarily to clean up work pieces, clamping devices and machine table. CleanStars usually work with coolant and they are used for cleaning big work pieces, pallets and inside of machine housing. These tools are distinguished by the fact that cleaning area and available flotation can be adapted to the condition of the machine because all nozzles can be closed or opened individually. ... leading in self-cleaning of machine tool!